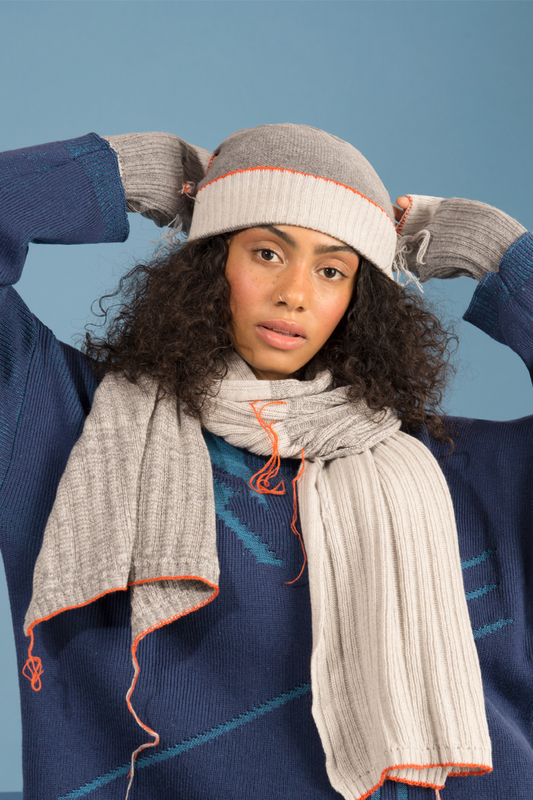 How we made our knitted pieces even more sustainable. Even though we we make every effort to keep all the waste we make during the knitting process, this collection actually keeps all loose knitting on the garment. When the consumer sees the finished knit product, they don’t see all the waste produced by one garment, imagine that times thousands of knitted pieces in large factories, then multiply that by thousands globally, that’s a lot of waste yarn. Our little studio is always on the lookout for inventive ways to use our knit waste. Take a look at our fashion video to see all the details.